The winger was on the verge of joining Leeds during the final hours of the January transfer window before Swansea pulled the plug on a potential £10m deal. James is contracted at Swansea until 2020, with talks over a new deal ongoing amid reports that the player's camp are keen to have a buy-out clause inserted. Highlights from Group E in the European Qualifiers match between Wales and Slovakia. "It's about concentrating on the football for me. This time last season I wasn't playing first-team football, but it's something that can happen. "If you get your opportunity you can take it and now it's a case of can I do more?" 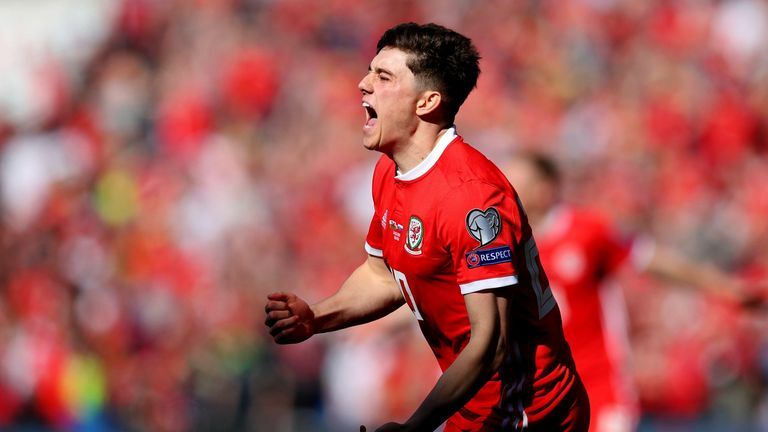 Leeds were expected to come back in for James this summer, but they will almost certainly face competition from top-flight clubs following the 21-year-old's international breakthrough. Swansea's finances remain precarious following relegation from the Premier League last season and the club announced last week they are seeking redundancies among all staff other than players and manager Graham Potter. "Nothing has changed for me. It was about keep playing football and enjoying it, and that's what I've been doing."